The Lutheran Church, or as known Lutheranism, is an offshoot of Western Christianity that followed the teachings of the 16th century German reformer Martin Luther. His efforts to reform the theology and practice of the Roman Catholic Church launched the Protestant Reformation. The reactions of government and church authority to the international spread of his writings, beginning with the 95 Theses divided Western Christianity. The split arose mainly over the doctrine of Justification before God. Lutheranism forwards a doctrine of justification “by grace alone through faith alone because of Christ alone” which contradicted the Roman Catholic view of “faith formed by love or faith and works”. Lutherans retain many of the liturgical practices and teachings of the Roman Catholic Church. Lutherans differ from other Reformists in a variety of ways including Christology, the purpose of God’s Law, Divine Grace and whether one is once saved always saved always saved and predestination. The Lutheran hold varying views of the holy bible of the Old and New Testaments. American Lutherans believe the bible is the only divinely inspired book and the only source of divinely revealed knowledge. 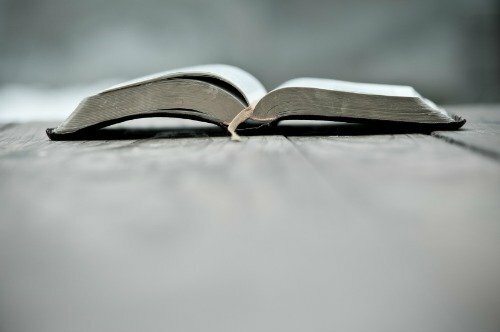 A study indicated that 30% believe the bible was the word of God and should be taken literally, 40% believe the bible was the word of God, but was not literally true, 23% said the bible was written by men and not the word of God and 7% were unsure.